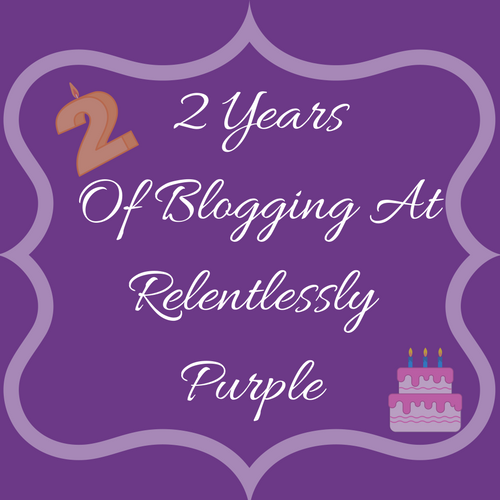 I can’t believe Relentlessly Purple is 2! My second year of blogging as Relentlessly Purple has been awesome, I’ve learnt a lot over the last 2 years. Changing over to Relentlesslypurple.com last year was a scary and exciting move but one I’m so pleased I made! With a great friend looking after my hosting (so I don’t break anything) I’ve been lucky to escape the big issues most bloggers face. I am extremely grateful for that! If you haven’t already check out my post on his new subscription box and take a look at his fab new project, Bytesize Box UK. I’ve continued to meet some awesome people in the blogging world too which has made a huge difference. Whilst I am still struggling with my mental & physical health amongst other concerns, the support I’ve had from the blogging community is absolutely amazing. It’s nice to know someone is always around for a chat about absolutely anything from blogging, crochet, crafts, days out & more! Some of the review opportunities I’ve had have been fantastic. The girls have had a chance to play with gorgeous toys such as the Lucy Locket Wooden Fairytale Tea set. We’ve met Authors & Illustrators at Little Tiger’s 30th Party and had some fun days out with Martyn & the boys at events like the Medway English Festival and the Rochester Dickens Festival. I’ve worked with Hallmark at Christmas & for fathers day too. So many great opportunities & hopefully lots more to come. Looking back I can’t believe I walked away from blogging before. Setting up Relentlessly Purple has been amazing. It doesn’t feel like I’ve been blogging for 2 years which I’m taking as a good sign! I never expected the blog to grow so much in so little time. Although I lose confidence at times and have days where I just can’t hit publish, I am getting braver and enjoying blogging in my spare time. Blogging has become a fun part of our family life too and the girls love getting involved. Even the Mr has had a chance to try some awesome beers like Goody Ales & these Fallen beers as we’ve started trying more craft beers and share our discoveries. All round blogging has been pretty positive for all of us. Hopefully I’ll carry on for years to come & get a chance to work with more brands I love & continue making amazing blogging friends! I decided to celebrate my bloggerversary and 27th birthday on the 14th August to run a small giveaway for my lovely readers! How long have you been blogging for? Has your blog exceeded your expectations? Everyone loves Cadburys! Happy blogbirthday. Happy blogaversary. What an amazing couple of years you’ve had. I’m a fairly new reader but cannot wait to see what the next year brings you. Milk chocolate. Don’t mind which brand but yum! It would have to be dairy milk whole nut for me, my fav! Happy 2 years! And maltesers, nom! Happy Blog birthday! As you are relentlessly purple I'd go for the purple chocolate, or Cadburys as it's known. h has to be anything Cadburys!!! No nuts though! Happy Birthday!! My favourites would be Galaxy or Milk Tray. I love cadburys mainly dairy milk is the best. Have you been watching Craft It Yourself? I follow you on twitter (ABitFilmMadFaye). Happy birthday to you yay 2 years! I like dark chocolate or galaxy the best but obviously will eat any! Those little Lindt chocolate ball things! So delicious and so naughty! Anything Cadbury’s 🙂 Congratulations on the anniversary of your blog. Cadbury’s Whole Nut or Galaxy! Yummy! Galaxy bar (or bars) for me! I'd probably have to go for some Green and Blacks butterscotch, it's divine! Love all chocolate but especially love any chocolate with nuts in! Something dark. Quite like Lindt’s selection. Happy Bloggaversary. I love the strawberry and Orange Roses chocolates. LIKE ANY CHOCOLATE BUT CADBURYS IS NICE, LOVE A WISPA BAR TOO ! I don’t mind as I love all chocolate especially Cadbury’s Caramel and Toblerone, which I love to eat really cold and hard out of the fridge. Happy 2nd Blog bday!! Here’s to many more! Chocolate is chocolate, it’s all gooooood, I’m not picky! Cadbury’s have a new chocolate called Roundie and I love them. Light crispy wafer layers covered in delicious milk chocolate. Tesco’s have them on offer so I’ve been bulk buying. 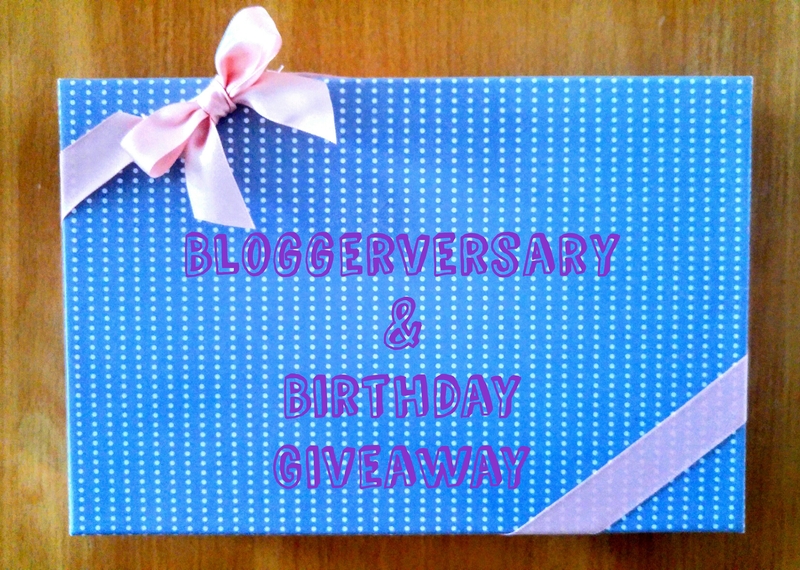 Happy Bloggerversary! Anything chocolate is fine by me. I will choose dark chocolate as it is my favourite. Literally anything Cadbury would be enough for me! Hotel Chocolate! So good, I’m addicted. It has to be Cadburys Dairy Milk. Happy Bloggervesary. I’m partial to a bit of dark chocolate. Happy blog (and real) birthday! :) Giveaway sounds fun, count me in for chocs and stationary. I think it would have to be cadbury caramel love them! Happy Blogiversary! It would be something dark like a Bourneville bar for me. Any chocolate but I do particularly like Thorntons. personally I love Hotel Chocolat but any will do! I’m craving a Double Decker! Happy blogaversary! Id love to see any Cadburys chocolate in there! I am easily sorted I love most chocolate but not dark chocolate. I like all chocolate but especially dark chocolate. Happy bloggerversary and 27th birthday. pretty much any milk or dark chocolate. really don’t like white chocolate. Would have to be Cadburys, Dairy Milk or Wispa or Double Decker, or Flake or Twirl………….